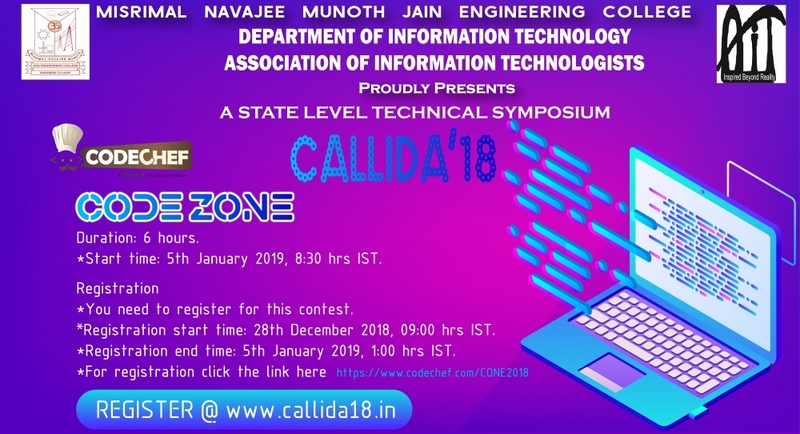 Organiser: The contest is hosted by Misrimal Navajee Munoth Jain Engineering College, IT Department. Please contact vijay199790@gmail.com for any queries during the contest. There is a small change in the question Array Exor and the question code AE04.